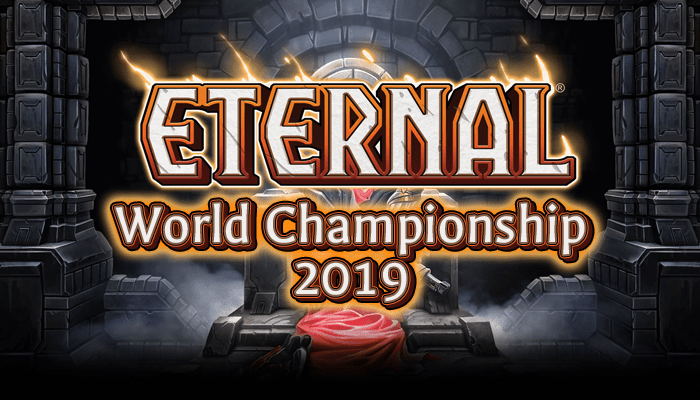 Organized Play has finally come to Eternal Card Game in the form of the the newly announced Eternal World Championship 2019! The EWC 2019 is a competitive, invite-only tournament with a whopping $100,000 prize pool! That’s right, one hundred thousand dollars. That’ll buy a lot of card packs. There’s only sixteen invites up for grabs – twelve for finalists of Eternal Championship Qualifiers, two for finalists of the invite only Showdown, one for the winner of the Master’s Challenge, and one final invite for the winner of the Community Championship. The Eternal Tournament Series is ecstatic to announce that we have been selected as the community-run tournament organization that will host the 2019 Community Championship! The Community Championship is a sixteen person invite-only tournament that takes place over two days: March 23 and 24, 2019. The winner will receive an invitation to the Eternal World Championship 2019, where they will be representing the entire community tournament playerbase. You qualify for the Community Championship by doing what you’re hopefully already doing – playing in the Eternal Tournament Series! Players who do well in the ETS are awarded Series Points as a numerical indication of their success. We will be tracking all Series Points awarded between now and the Community Championship under a separate “season,” the Community Championship Series Point Leaderboard. Everyone starts at zero – it’s how you do between now and the Championship that matters. After the 2019 Season One Invitational on March 9th and 10th, 2019, the top sixteen (16) players on the Community Championship Series Point Leaderboard will be invited to participate in the event. Ties will be broken by Eternal matches, as usual. There are no direct invites to the 2019 Community Championship. Series Points earned from the 2018 ETS World Championships DO NOT count towards the Community Championship Series Point Leaderboard. The ETS World Championships is our own flagship tournament, and players have been building towards it for the entire year. Given that huge head start, it will be difficult for any new player to qualify, and those that do qualify will likely already have a fair chunk of points to start with. Finally, Worlds awards a LOT of points – it will unfairly skew the Top Sixteen rankings towards Worlds players. The first ETS tournament of Season Four begins on September 22nd. Take a moment to read our Updated Ruleset, review our Core Rules, and check out the Eternal Tournament Series page.